HomeAugust – Are we NUTS? August – Are we NUTS? Yes, NUTS. They are everywhere on this property. There are black walnut trees everywhere. Right now they have hard green balls that will fall soon. The green husk will soften and rot exposing the black walnut for the squirrels. This property is a squirrel utopia. Plentiful food — and a house to store them in. 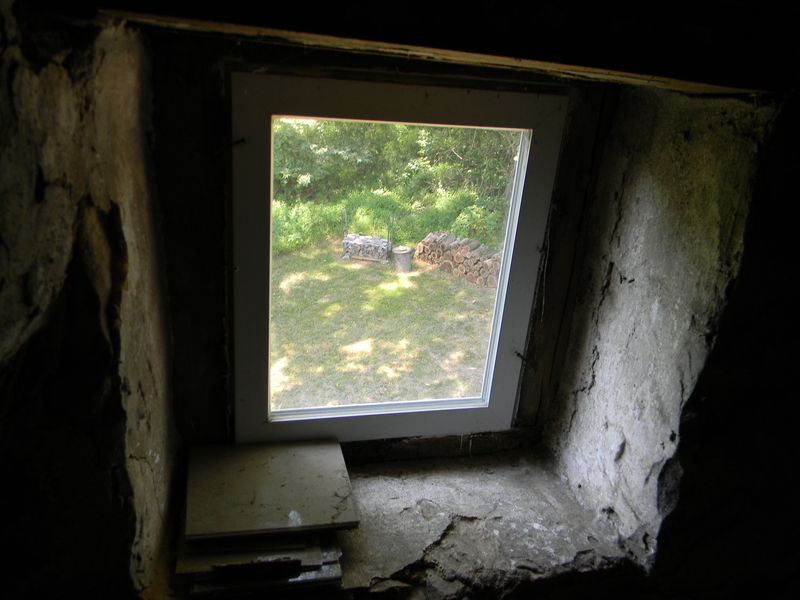 A real house — not a squirrel house in the knot hole of some tree. The squirrels have made themselves at home in our home, and they just got their eviction notice. When the exterior soffits and fascia boards came down, so did the walnut shells. 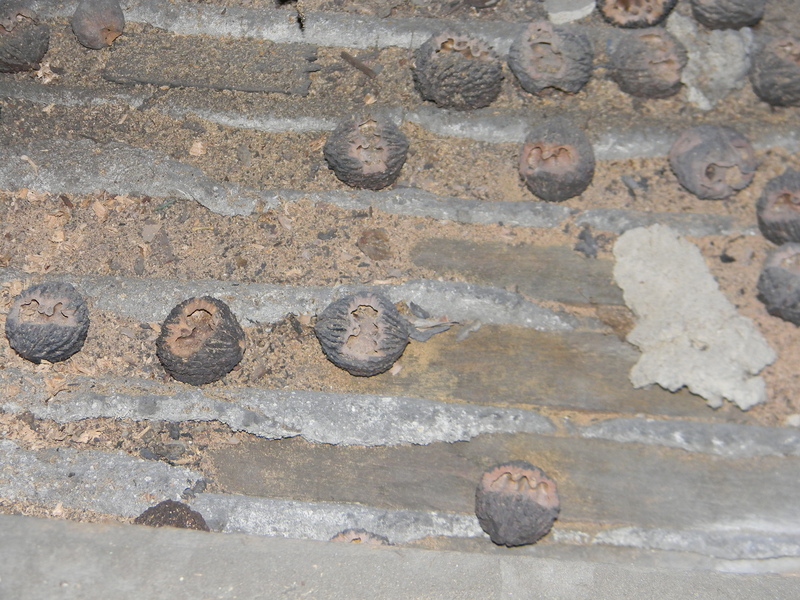 I thought that was the end of them, just up under the eaves, on the outside edge of the stone wall that extends to the roof line. But that was not the extent of their storage space. 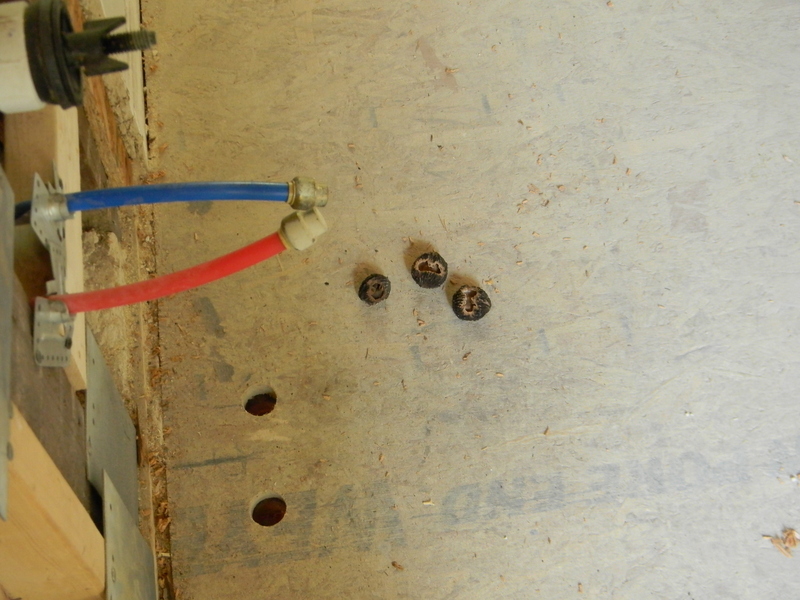 As boards came up to make room for the infrastructure (plumbing vents, hvac, electric boxes) the nuts came out. 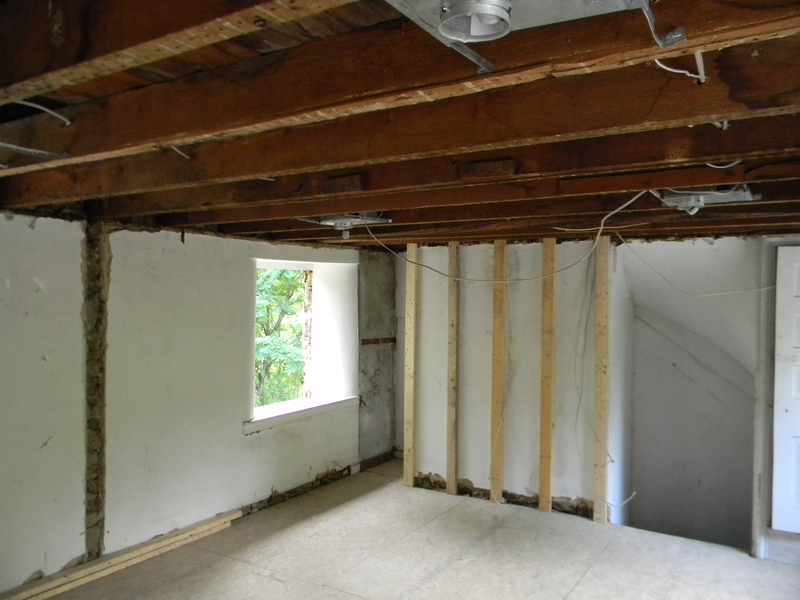 Eventually, we decided the master bedroom ceiling had to come down, and with it, more nuts. And then, on the underside of the attic flooring – now exposed to the bedroom ceiling — it looks like we have Chestnut too — not NUTS, but Chestnut wood. The American Chestnut succumbed to a blight in the early 1900’s. 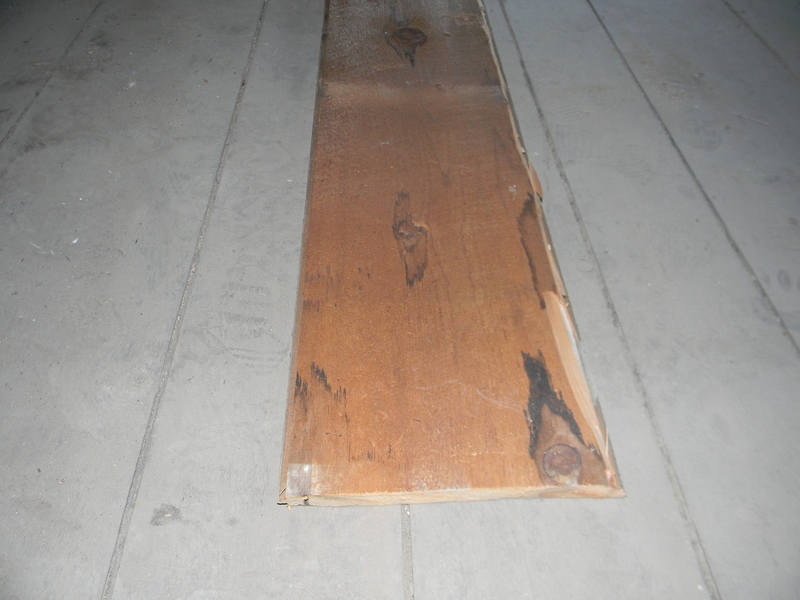 These floor boards have been here since the mid-1850s — supposedly, it’s REAL American Chestnut. We thought about pulling it out of the attic, replacing the attic floor with plywood and using this random width, really thick and very special wood for our first floor hardwood flooring — but the cost of doing that was NUTS! 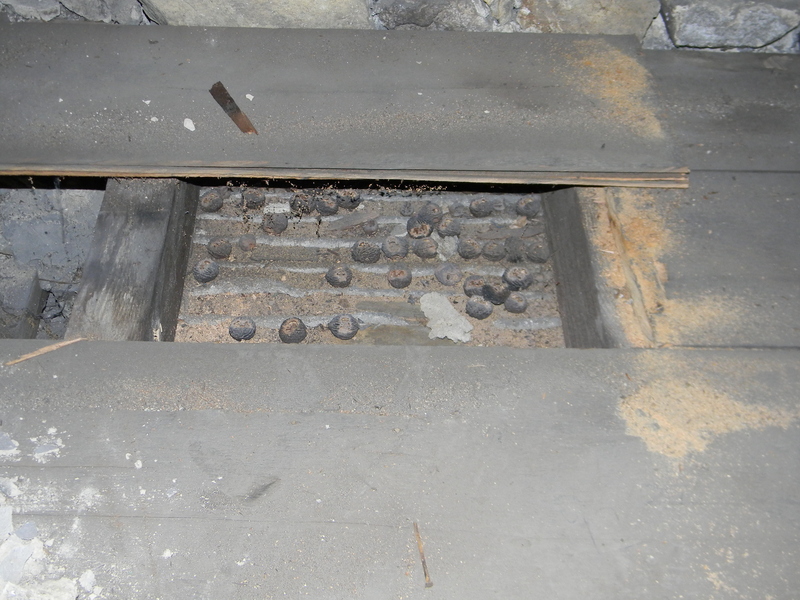 So, the chestnut wood will stay in the attic, where it’s been for more than 160 years. At least the nuts they were hiding are gone. Black Walnut wood — the start of our wood pile — a view from the attic window. More nuts in the attic. I guess the squirrels are wondering what happened to *their* home!! I’m sure each month you think…what will be next!!! I understand squirrels taste like chicken. You know black walnut trees can be worth a few buck depending on trunk diameter. I Forget the diameter 90″? It could pay for your garage! Gun stock makers want that stuff.